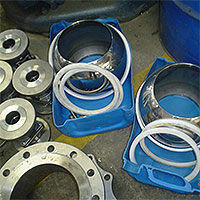 The fabrication of various Valve Parts can be handled within our shop. A 380 volt 300 amp Mig machine is available besides other welding equipment. We have a wide range of valves that can be supplied or manufactured to suit your specific requirements. We are currently the preferred supplier by most of the valve companies for the drilling of valve flanges, reconditioning and modification work. We pride ourselves in having a one stop reconditioning facility. 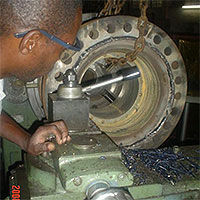 Stripping, machining, assembly, testing and spray facilities. 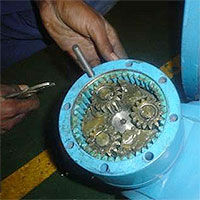 We pride ourselves in having modified valves for some of the biggest petroleum companies in South Africa. This company supplies Products & Services in the Agricultural, Automotive, Building & Civil, Chemical, Electrical, Environmental, Food & Beverage, General, Instrumentation & Control, Manufacturing, Marine, Materials Handling, Mechanical, Metallurgy and Materials, Metals, Steel & Metalworking, Mining, Paper & Wood, Petrochemical, Oil & Gas, Pharmaceutical, Power Transmission, Warehousing & Storage, Water & Wastewater Treatment industries.